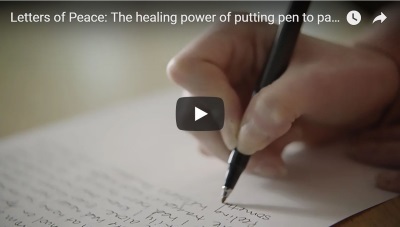 Dr. DeFoore's Healing Anger Newsletter entitled "The Power Of Journaling"
When you write it down, you're literally getting it out of your head onto the paper (or screen) in front of you, and the release starts right there. Your thoughts run in loops, but when you write them down, you're not going to write in loops. When you stretch your thoughts out into full sentences, it adds some logic and reason to a process that might have been completely emotional. Do a pain and trauma inventory. Write about the most difficult experiences you've had. It's OK to start with recent ones, but eventually you will want to go back as far as you can remember, and write about everything painful and traumatic that occurred. Don't worry about whether it's important or not...if you remember it, it's important. Keep on writing until you feel a sense of release or completion. You'll know when you're done with a particular session. Another type of journaling for release is purely for getting anger out. Read further about that here. "Writing applies the verbal/rational part of your brain to the emotional, non-rational part, bringing about resolution just through that process." Ever have trouble sleeping? Research has shown that journaling can help you sleep better, especially if it's gratitude journaling. Now we're going to move on to the segment on journaling for renewal, and these positive daily email messages will help! Journaling for release is "getting it out," and journaling for renewal is for stepping into the positive vision of what you want for yourself and your relationships. The main thing here is to start this three part positive journaling process, where you will apply positive perspectives to your past, present and future. 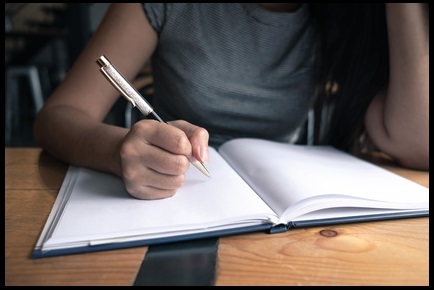 Another great writing exercise is to write about your personal vision, for yourself, your day, and your life ahead, then add positive anticipation to that. Finally, write in your journal starting every sentence with, "I love..." Then just finish each sentence with anything that comes to mind. Be sure and include some things you love about yourself! These methods are tried and true, but only if you use them. It's not a question of whether journaling works, it's a question of whether you use the tool consistently. And, if you do, you'll see some good results. It's low cost (the price of pen and paper), do-it-yourself self improvement. The studies on this indicate that you may not actually need professional help if you practice these tools regularly. 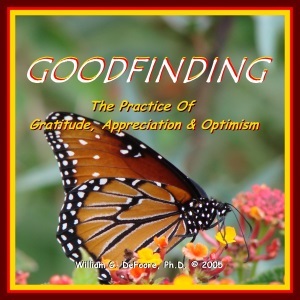 To help with your positive journaling for renewal, check out our audio program called Goodfinding: Optimizing Your Aptitude For Health And Happiness now! Give Your Positive Journaling A Boost! This highly effective audio program, available as a CD or MP3 download, will help you to get your thoughts going in a good direction once and for all. New web pages for you. Read new contributions from good folks like you, such as, Road Rage Battle - Hopeless And Fed Up by Tanner, a man trying to overcome his own road rage, and Dangerously In Love With A Broken Man by Nicole, who says she would rather stick with someone than be stuck.